Height-adjustable handles from 29 in. - 38 in. 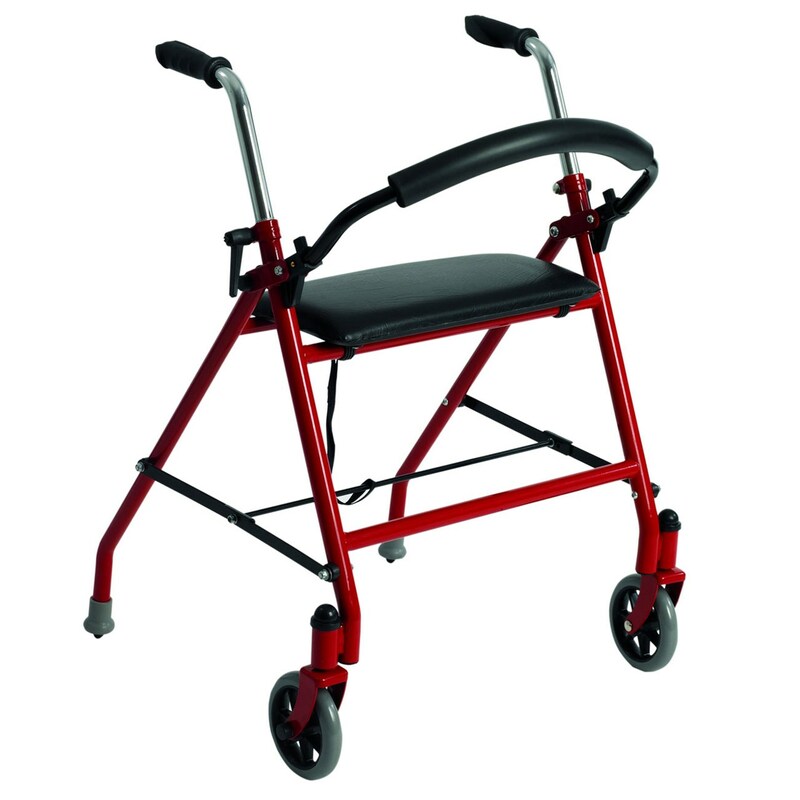 Drive Two Wheeled Walker with Seat - Red- quickly folds when not in use and the rear leg tips act as brakes when pressed down.